For most people, buying a home is financially the biggest decision that they will ever make in their lifetime. And when we like to keep ourselves, our car and even our foreign trips insured, a home insurance is a complete necessity. Any damage to your home can lead to severe financial and emotional consequences. While the emotional consequences will heal with time, a home insurance will take care of the financial ones. Many reasons make Home insurance in Cypress a must for every homeowner and 5 of the most important reasons are mentioned below. A home insurance insures the home as well as the contents in it from damage, theft, fire, tornadoes, earthquake, etc. A study conducted in 2002 came up with the conclusion that almost 75% of the homeowners in the USA do not have adequate home insurance that can accommodate the cost of the home as well as the contents in it if at all there is any catastrophic loss. Even if a state in the USA doesn’t require you to carry a home insurance, the lender will surely ask you to buy one. The lenders usually ask the homeowners to purchase a home insurance that can at least cover the cost of the mortgage. Apart from buying, it is also very important to maintain the insurance throughout the repayment period. Apart from protecting the home and its contents, a home insurance also protects the homeowners from any lawsuits from anyone who gets injured when they are in your home, like plumbers, technicians, carpenters, etc. 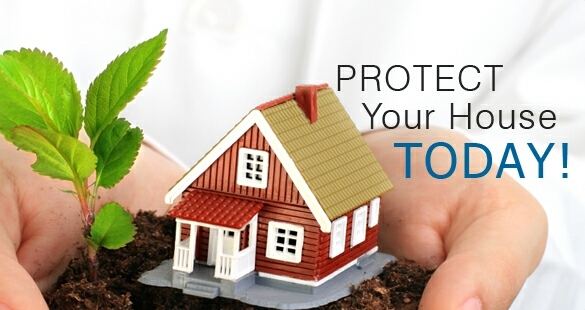 Moreover, homeowners can also purchase additional protection by buying higher liability coverage at low cost. Equity is the cost of a property above the mortgage or any other kind of liability related to the property. As homeowner‘s makes renovations in the home, the equity of the home increases. A home insurance will ensure that of at all something happens to the home, the homeowner will not be required to build the equity from scratch. If at all the home goes through any severe damage and the repairs will take days, weeks or even months, a home insurance usually covers the cost of relocating the homeowner and his/her family. Right from a stay in hotel, meals, to other living expenses, the home insurance will pay for everything. These are some of the most important reasons that make home insurance a must for every homeowner. But before buying a home insurance product, make sure that you thoroughly check the terms and conditions to avoid any discrepancies in future. This entry was posted in Home Insurance. Bookmark the permalink.